The Sony PlayStation 3 doesn't need to sell loads of units immediately because it's going to reign supreme for the next 10 years. 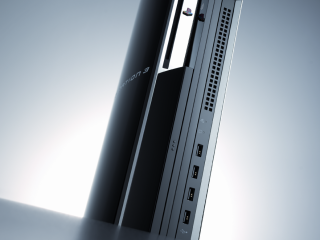 That's according to Sony Computer Entertainment America (SCEA) president Jack Tretton, who said that over time the PS3 would conquer all. "The decision we could have made a couple of years ago was to make a PlayStation 2.5, put it out at an attractive retail price point, move the bar marginally from a technology standpoint and buy ourselves a couple years of additional prosperity," he said in an interview with USA Today . "To be perfectly honest with you," he continued, "I think that is a bit of what we are competing with". "What we felt that we had the luxury to do was to really build a machine that we firmly believe is future-proof and is going to carry us for the next 10 years," he said. "The price you pay for that is [that] it's difficult to manufacture and [this] certainly had a lot to do with our delay in getting to market. And it certainly had a lot to do with the costs associated with building it and our production capacity." Tretton went on to reveal that Sony is very much looking at long-term success and is willing to take some losses to begin with, to win the race in the long-term. "Because we have such a viable format in PlayStation 2, and because we look at this in a 10-year product life cycle, we don't feel like we need to convert every consumer on Day One. We feel that we have the luxury of having that long-term perspective."